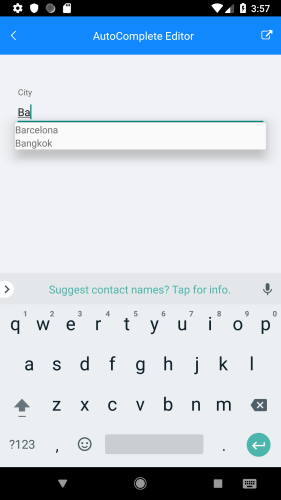 This example will demonstrate how to add an autocomplete editor for a property called City on Android. Then you have to specify that a custom editor will be used for the City property. Then you have to inherit from the default DataFormRenderer and override some of its methods.